The official website for the park has the following notice: “Malibu Creek State Park was badly damaged in a November 2018 wildfire, but recovery has begun. Please tread lightly and exercise caution when visiting. Whew! 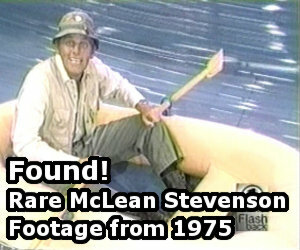 I’m so glad that AMAZING piece of film history survived! I thought it was all gone! I feel SO bad for those who lost everything in the fire, though. May Jesus bless them. Yea this is great news. Glad to see it survived. Awesome seeing those pictures in the album on that Reddit post. Imagine how cool it would be if some of the surviving members could make the trip up there to see it. Other than the mountains obviously being scorched, looks like the only casualty of the fire, somehow, was the signpost: looks like it got burned a little in the fire. Otherwise, so relieved to see it survived!